If you watched WWE Smackdown Live this week then you may have noticed something different about Andrade “Cien” Almas. He is no longer being called that entire name and they are just using his first name: Andrade. The main picture I have used for this post is his WWE.com profile that reflects the name change. 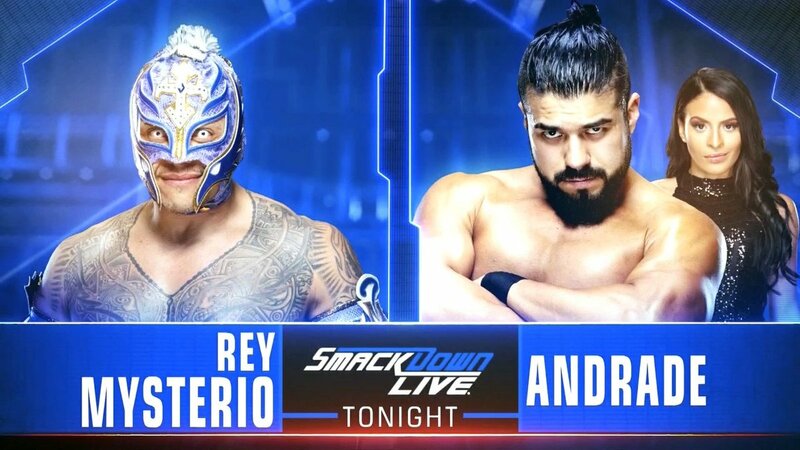 When the announcers referred to him during the show, they said Andrade only although I’m pretty sure I heard announcer Corey Graves say “Almas” at least once during the incredible Andrade/Rey Mysterio match. I don’t think it’s a big deal if an announcer says “Almas” once in a while since that’s what he was known as. The Almas/Mysterio match is outstanding by the way, so please go out of your way to watch that if you missed it. (Adrian) Neville – He’s now in AEW as Pac. Congrats Andrade for joining that exclusive club. TJR Thoughts: The name shortening thing doesn’t bother me at all because it means less writing for me and I am all for that.